The original speed dial. 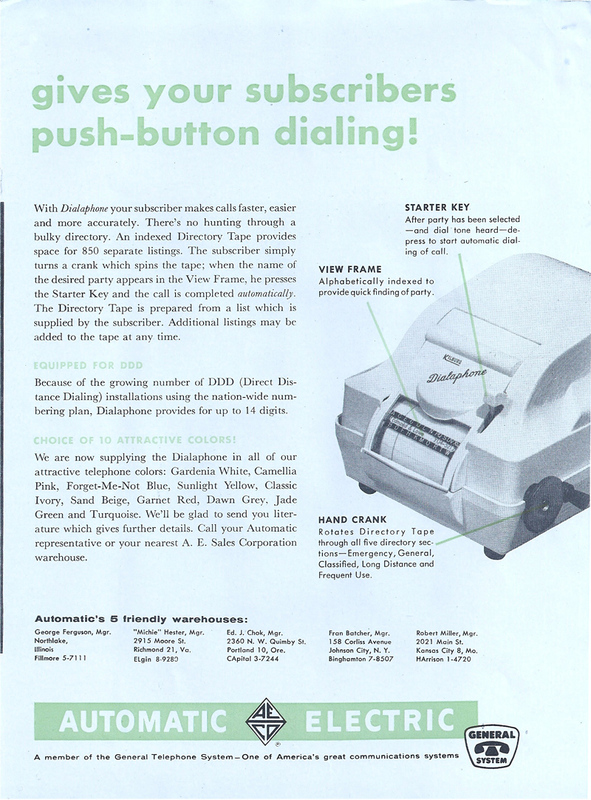 From brochure text (click below to read full text): "With Dialaphone your subscriber makes calls faster, easier and more accurately. There's no hunting through a bulky directory. 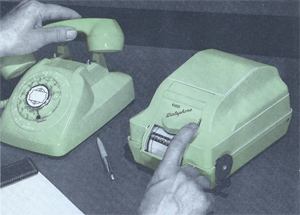 An indexed directory tape provides space for 850 separate listings. 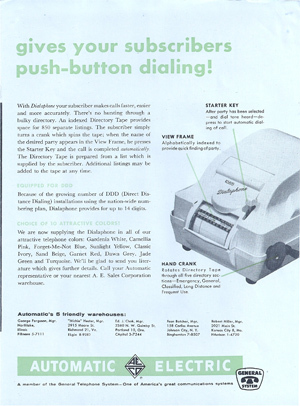 The subscriber simply turns a crank which spins the tape; when the name of the desired party appears in the view frame, he presses the starter key and the call is completed automatically."